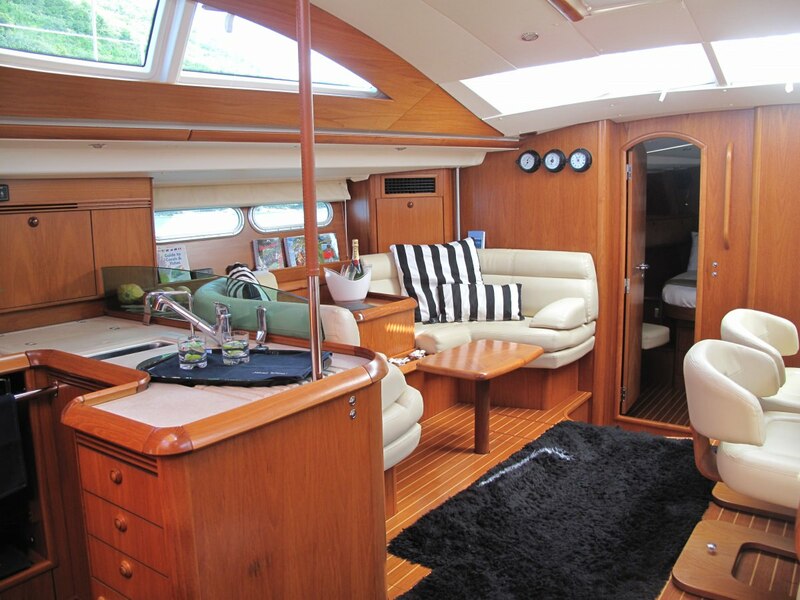 Silent Wings a 2009 Jeanneau Sun Odyssey 54 DS, is a fully coded high specification yacht with a visible 'wow' factor, offering smart and comfortable accommodation. Charter magnificent Silent Wings and let civilization disappear beyond the horizon. 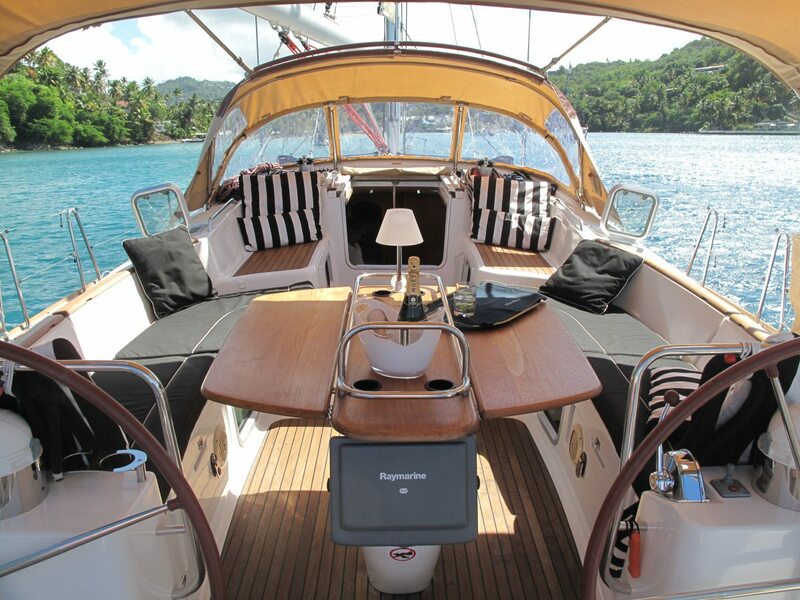 Enjoy a flexible choice of destinations and itineraries in the Grenadines, either for long days of sailing or shorter hops to spend more hours anchored of palm-fringed beaches or deserted atolls. 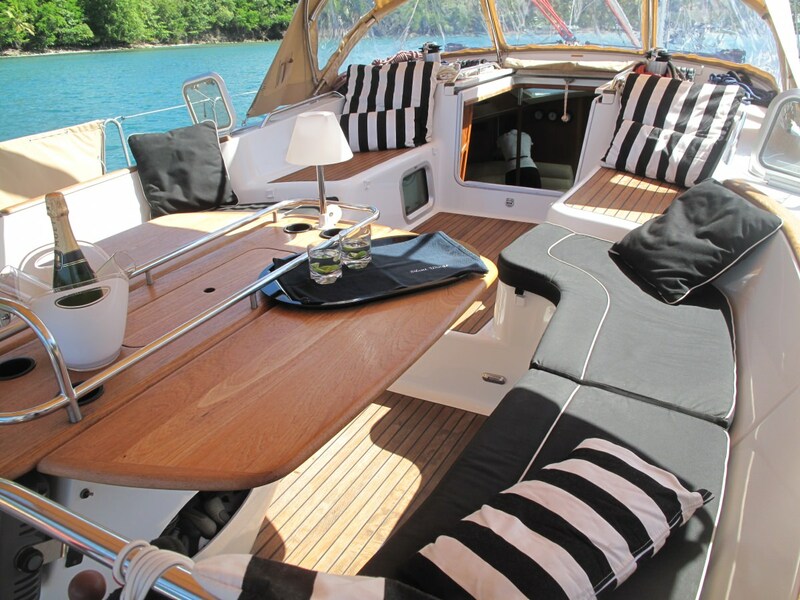 From the moment you step aboard, the elegance and luxury of Silent Wings will bewitch you. 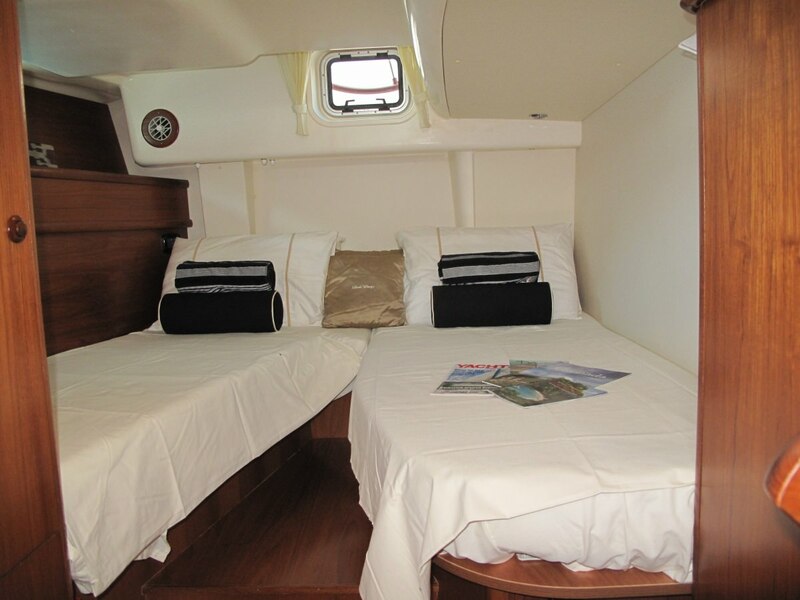 You can relax and enjoy a complimentary first night Rum Punch sitting on the roomy deck admiring the stars, and be sure that Captain Stephen and Mate/Chef Sally will be on hand to give a unique and highly personalized service. 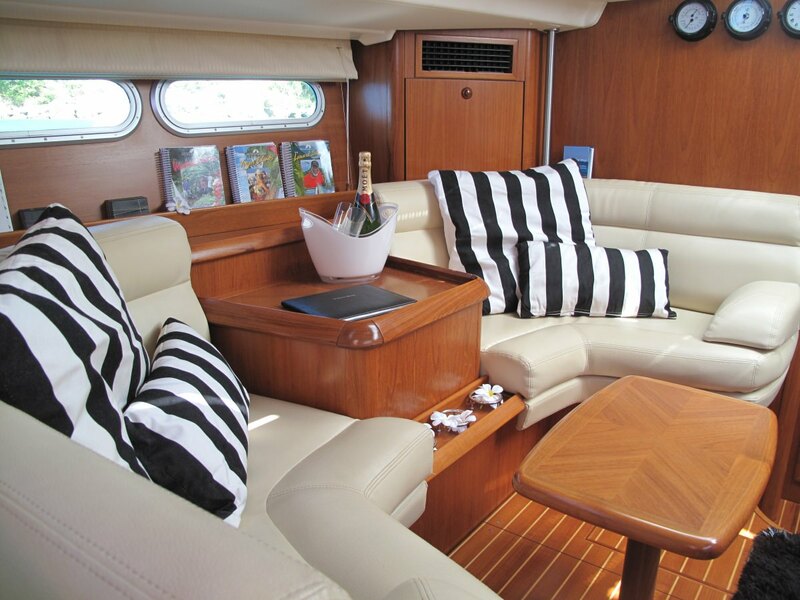 Silent Wings is a spacious, fully air-conditioned yacht, and accommodates four guests and two crew in three cabins. 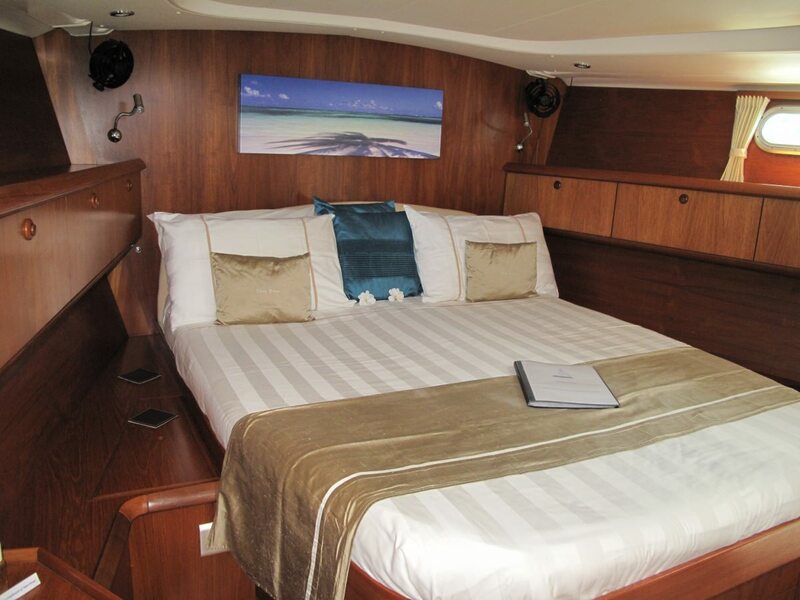 The Stateroom located at the bow (front) of the yacht consists of cabin DVD player and ensuite bathroom, electric flush toilets and showers. 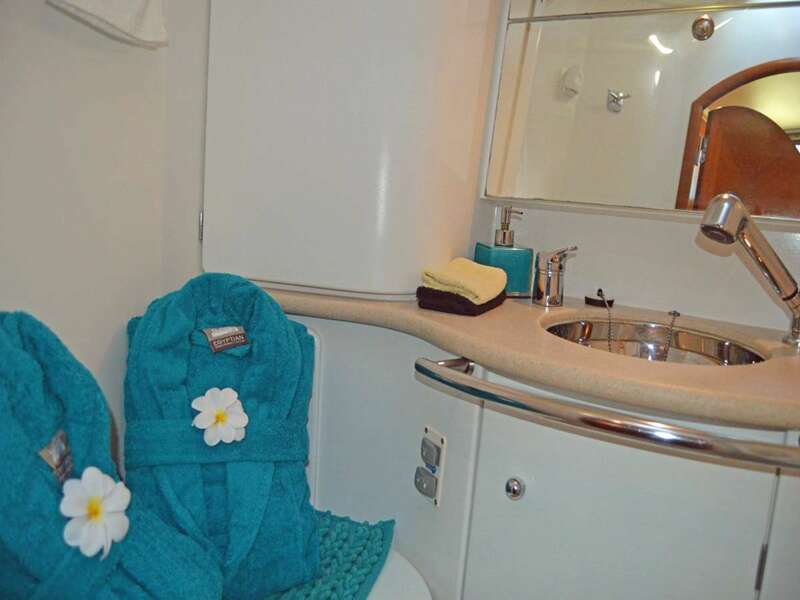 The remaining two cabins are located at the stern (rear) of the yacht, and offer exceptional headroom, each with ensuite bathrooms and cabin DVD players. 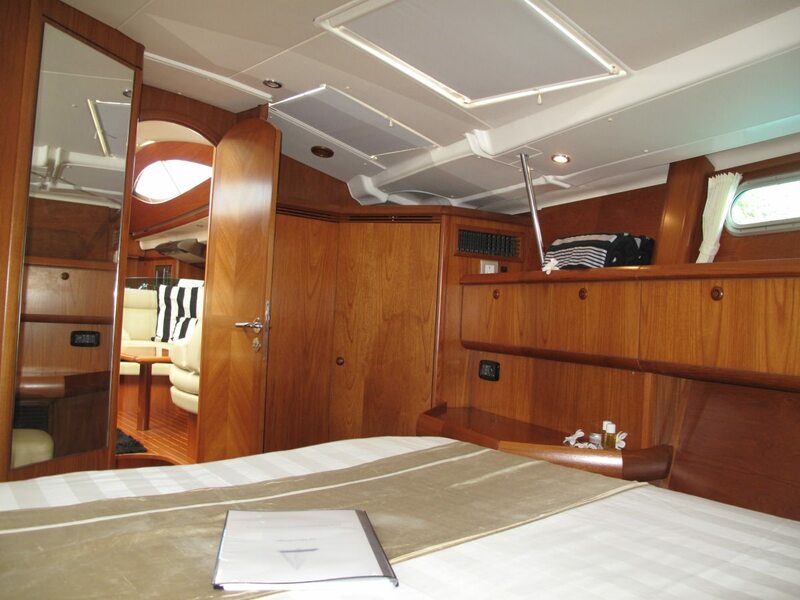 All guests will have access to the luxury saloon and an extensive onboard entertainment system. Sally�s wonderful culinary skills will provide a varied menu, with many home-made foods that reflects local fare. Guests also have a choice of drinks on board as well as the opportunity to experience some local bars, restaurants and beach barbecues. Stephen and Sally are both qualified captains. Whether you are a novice or an advanced sailor, Stephen is always enthusiastic, patient and delighted to provide hands-on sailing instruction and tips. 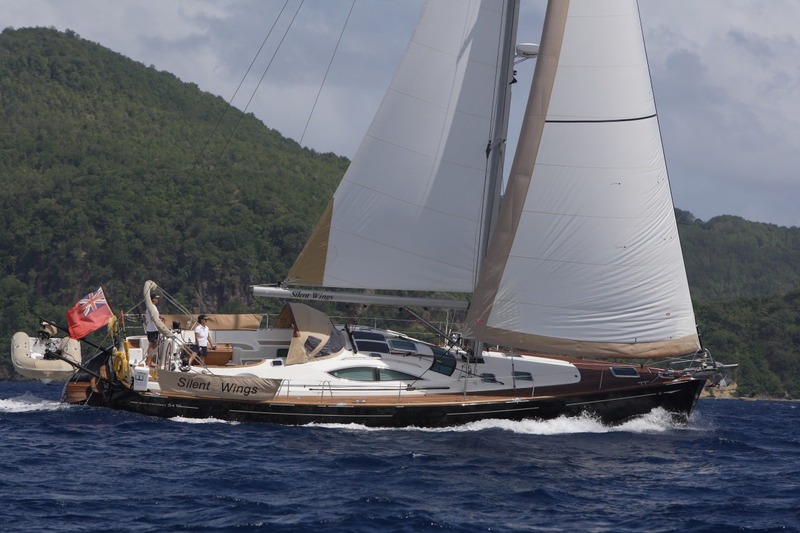 The Mission of Silent Wings is to give guests a cruise to remember, taking home memories of exhilarating sailing, luxurious accommodation, delicious home cooked meals, exotic bays and anchorages and a real taste of the Grenadines.